We have a fabulous collection of Leggings & Denim Top. Our elegant and appealing range is designed beautifully in different patterns. Our leggings & Denim Tops are available at most competitive price. 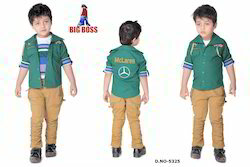 Keeping the pathways of most recent happening of this domain, we render the first-class quality of Kids Jeans. Timely delivery of the offered products is assured, due to our strong logistic support. 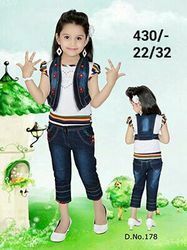 We have in store an exclusive range of latest Girls Flower Printed Jeans Pant. The products are made from 100% cotton fabrics. The products are available in a variety of designs and are also available in customized designs. Besides we are offering them at very affordable prices.